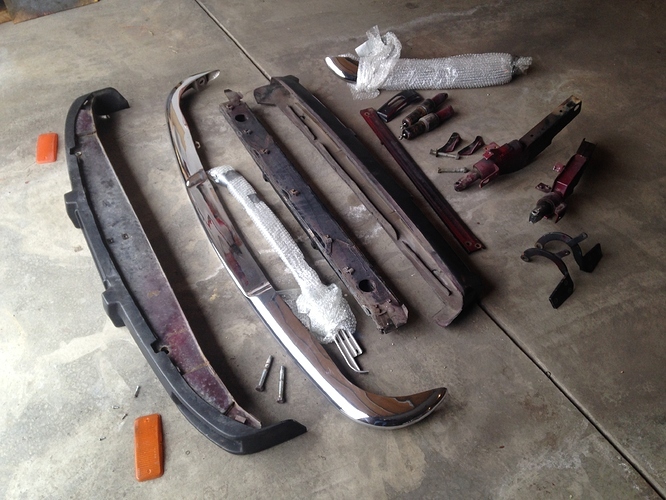 Description: complete bits for a set of US style bumpers, front and back, for XJ12 S2. I recently replaced these with a set of EURO style bumpers. Condition is very good/ driver quality. I will give these (please take everything) to anyone in need but you must pick them up. Shipping would be expensive with the heavy bumpers. They are available in Loveland, Colorado (about 45 miles N/O ) Denver. Please PM me.